WGA had 19 members at the Catalist (WCGN) Conference in Philadelphia, October 21-23, 2018. Proud members celebrate WGA being awarded a Spotlight Award for transformative grantmaking. Fortunately, women’s philanthropy is growing in Florida and across the country. New funds, giving circles and other forms of philanthropy are taking shape to focus on giving by and for women and girls. The women's collective giving movement began in the 1990's, and advanced considerably when Colleen Willoughby of Seattle founded the Washington Women's Fund in 1995. Others soon followed suit, including WGA in 2001. WGA is one of more than 200 women's giving groups in the United States and abroad. In one way or another, all of these collective giving organizations pool women's contributions, make grants to worthy organizations and encourage members to become strategic philanthropists. Catalist (formerly WCGN (the Women’s Collective Giving Grantmakers Network))Catalist, formerly WCGN, the Women's Collective Giving Grantmakers Network, is a network of more than 65collective giving grantmaking groups--including WGA--in the United States and Australia and represents more than 16,000 women. Catalistsupports the creation, development and expansion of women's collective giving through informed grantmaking. It provides a national voice to the collective giving movement and accelerates the power of its independent affiliate organizations. Every 18 months, Catalist collaborates with its member organizations to sponsor a multi-day educational conference and celebration of women’s leadership in philanthropy. 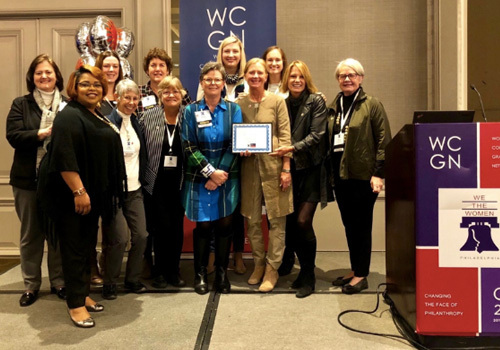 The sixth national forum was in Atlantic Beach, Florida,March 12-14, 2017, proudly hosted by WGA.At the seventh national forum in Philadelphia, October 21-23, 2018 WGA won a prestigious Spotlight award for its transformative grant “Girl Matters: GivingGirls a Voice” to the Delores Barr Weaver Policy Center.In addition, several WGA members are part of the senior leadership team for Catalist. 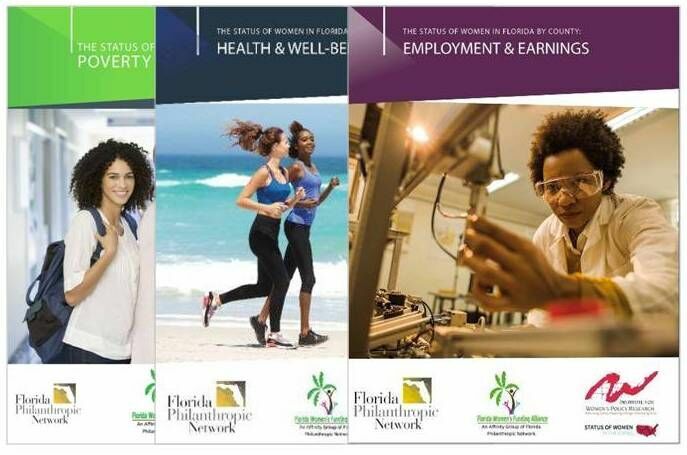 Through The Community Foundation for Northeast Florida, WGA helped to found the Florida Women's Funding Alliance, an affiliate of the Florida Philanthropic Network. FWFA and its members envision a Florida where women and girls thrive. To view media coverage of the report, go to WGA's newsroom. "We use data to start a conversation – and we believe data changes the conversation. We want to inform policy. We want to inspire change. We want to produce real outcomes for women and girls."